During briefing to media about the unique features of its food Sanjeev Kapoor spoke to Restaurantindia.in. 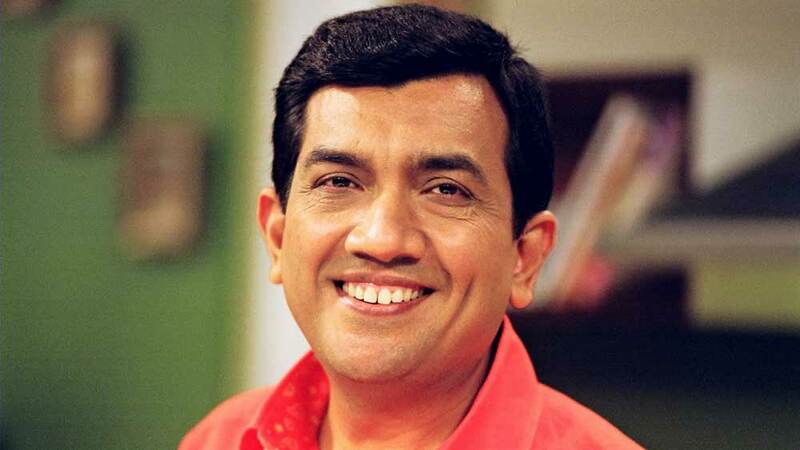 Bringing the gamut of popular regional palates from across the country along with offering traditional Maharashtrian cuisines to the Mumbaikar’s Sanjeev Kapoor, celebrity and the Padma Shri Chef, recently launched his second Yellow Chilli outlet at Dadar, Mumbai. Launched in the densely populated location of the city, the restaurant is designed in a way that it marks its presence in the minds of consumers with its attractive menu and the interiors. He has invested around Rs 1 cr for the outlet while aiming to have around 150 Yellow Chilli outlets in the country and abroad by 2018. What inspired you to launch second Yellow Chilli restaurant in Mumbai? We want Yellow Chilli to reach to every corner of the country. Indian food is getting popular across the world. Many a times new generation is resisting of having Indian food so we have opened new Yellow Chilli in Mumbai. This Dadar location is the center heart and densely populated location of the city where there are good income people. And at the same time we didn’t want to position Yellow Chilli as too high in price so I thought this is the best brand that I can offer here. Any particular recipe that the Mumbaikar’s should turn to Yellow Chilli for? There is a mix of recipes from all parts of the country. But there are some signature dishes served over the years like we have Sol Kadhi, KothimbirWad, Kolambi Masala Fry, Mutton Rasa, Lalla Musa Dal, Shaam Savera, Lawrence Road Tandoori Murgh, RaanBuzzkazi, Gulab-e-Gulkand, Rasmalai simple drink with Amrud juice and spicy Guava juice amongst others. We have good vegetarian selection along with non-veg dishes. Mumbaikar’s and others can come here with family, friends, office colleagues to spend quality time away from home and to have guaranteed tasty and quality food. What is different with this Yellow Chilli casual dining restaurant? This is not needed that the restaurant should be different rather it should be improvised in tastes and service. There are not too many marked differences that we want to create. Over a period of time we have evolved with the brand. There are some designs elements that may change in the dishes. In each region while our core menu remains the same there are few regional elements that we would have for that place. The restaurant business is neighborhood driven especially the Yellow Chilli so we have to take care of that neighborhood taste first with loyalty. Our philosophy will be the same across all the outlets but there will be minor changes keeping in view where the brand is at that point of time. Please tell us about the investment that you have made and the expected revenue? Our single unit investment cap goes little over Rs 1cr and its good margin business if run well. Yellow Chilli is our casual dining brand with great food at value offering. It’s a neighborhood Indian food brand which we want to populate across the world. Overall we have Rs 200cr of revenue across all the restaurants and brands and we can take it to much higher level. Presently how many Yellow Chilli outlets that you have in India and what’s the expansion plans? Currently we have 70 outlets and half of them are in India. We are working on launching total 135 outlets and by 2018 we will have 150 outlets in India and abroad. We are also building one QSR format of restaurant which is in progress. How do you feel about being conferred with Padma Shri award? I think in this category the recognition of this kind has to be done. Initially I was told that the category is new and there are other categories like art and science but I said that cooking is art and science. But now I am glad that this category is recognized and many more chefs will get this honor. Not only chefs there are many deserving people who are cooking at home who are changing lives through their home cooking food and they need to be considered, recognized and honored. If the government will execute GST with proper planning then it will be great move. GST will unify our diverse country.